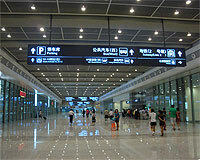 Enter your departure place and destination (city or train station name). Enter a train number if you have to get timetable. Select your city and district to search official ticket office near you. Train Types. Z, K, D, T and CRH high speed G and C train. Read a Train Ticket. 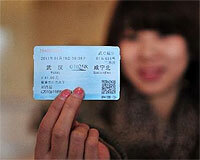 Learn about a Chinese train ticket. Boarding a Train. A simple guide of board a train in China. Buying train tickets. 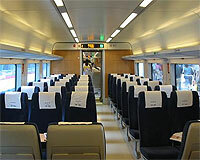 How to get a China train ticket. 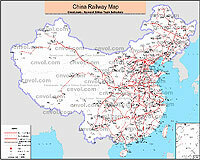 China Railway Map. In both English and Chinese and large. 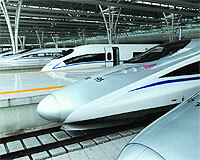 China train forum, for the discussion of train search etc..
China train search plugin, add schedule search to your site. 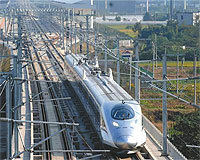 Cnvol.com is providing train schedule search service for those who're planning their train trip in China.